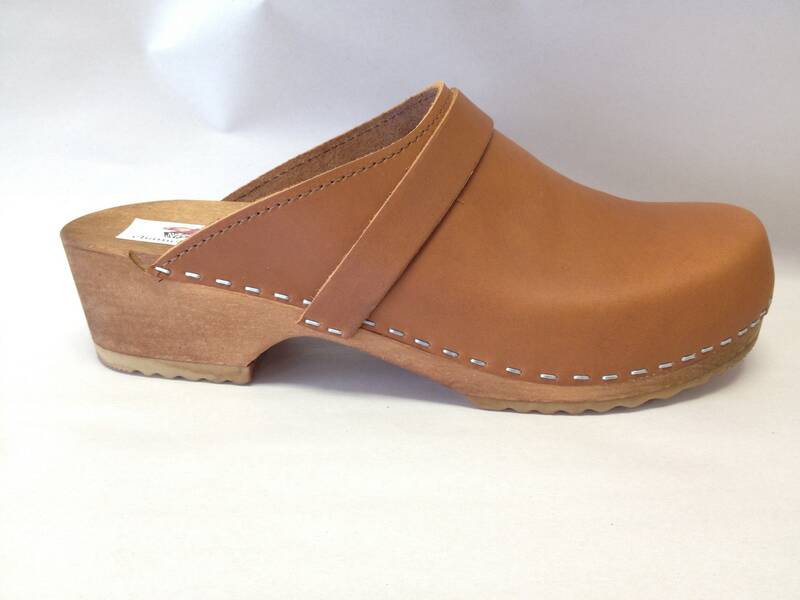 Our honey oiled leather classic full clog. Made up on a Natural wood Low heel 1 3/4"-2”. *Please request at checkout if you prefer a natural sole.